Sparkling and full of vintage charm, our beautiful Trailing Petals Headpiece is inspired by the statement headpieces from The Golden Era of the late 1940s and early 1950s. 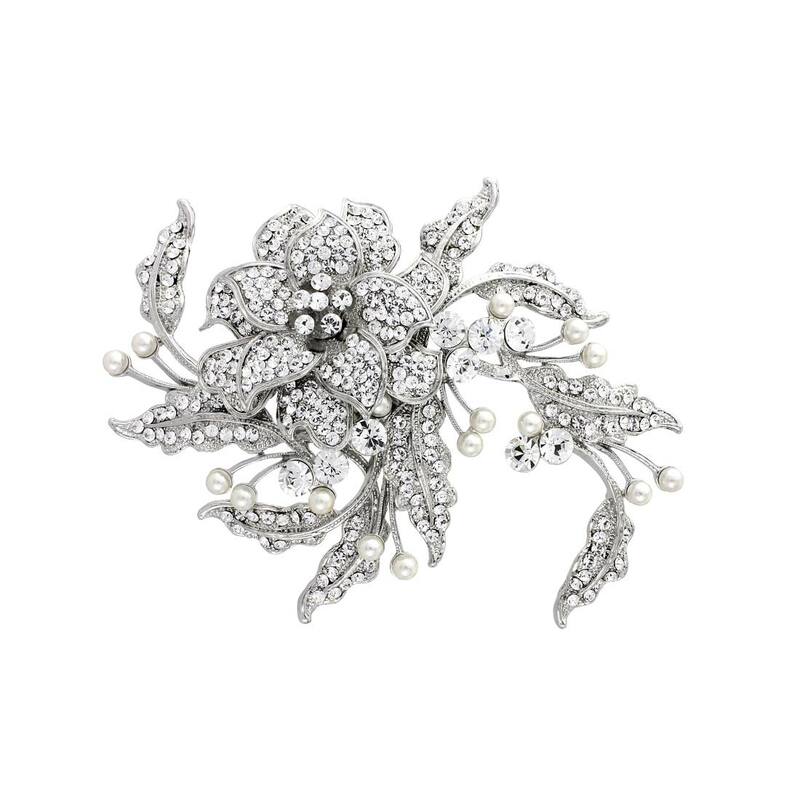 Featuring a myriad of petite clear Austrian crystals set on silver tone, this romantic piece features a central flower surrounding by trailing crystal leaves and ivory faux pearl accents. With a small concord-style clip for fastening to the hair, this is a versatile hair accessory which looks sensational alongside an elegant up-do or worn at the side of the head in a half-up half-down style. For brides who adore vintage hair accessories with a touch of feminine charm, Trailing Petals Headpiece will add glamour to your bridal style. 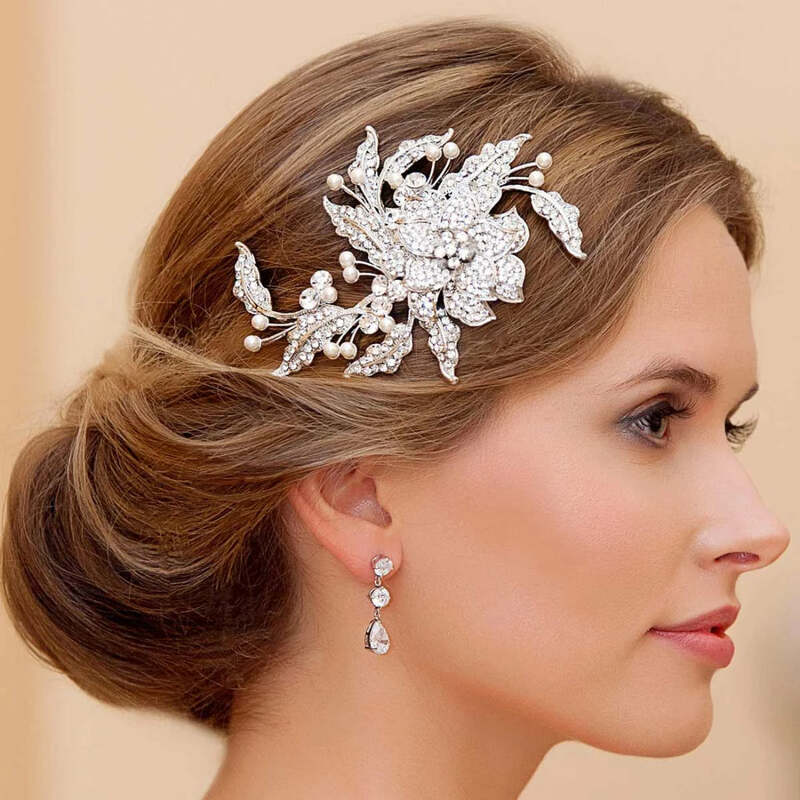 Whether accessorising an elegant full length gown or adding a touch of sparkle to a tea length 50s dress, this is sure to capture the heart of brides looking for an alternative to the traditional tiara. Coordinate with a sparkling crystal wedding bracelet and crystal drop earrings for that added wow factor.